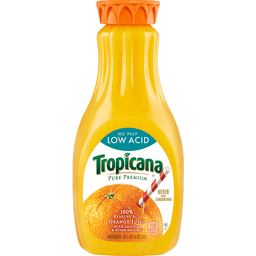 100% reduced acid orange juice with calcium & vitamins A & C. 110 calories per 8 fl oz serving. Pasteurized. 100% juice. 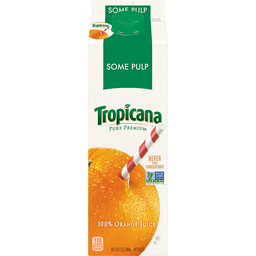 Enjoy Tropicana! Questions or comments? 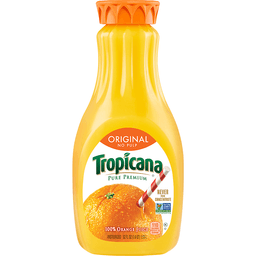 Call 1-800-237-7799. www.tropicana.com. Please recycle. Contains orange juice from US and Brazil. Not from concentrate. 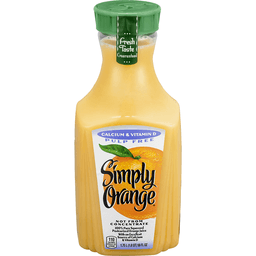 100% pure squeezed pasteurized orange juice with an excellent source of calcium & vitamin D. 110 calories per 8 fl oz serving. 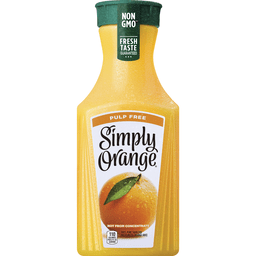 Non GMO (Oranges are not genetically engineered). Fresh taste guaranteed. 100% orange juice. 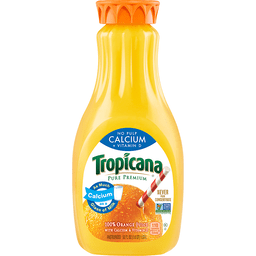 A full day's supply of vitamin C. Excellent source of calcium & vitamin D. Pasteurized. Naturally sodium free. No water or preservatives added. Product questions & fresh taste guaranteed info call 1-800-871-2653. www.simplyorangejuice.com. Plant Bottle: Up to 30% made from plants. 100% recyclable plastic bottle. Please recycle. Contains orange juice from countries identified on bottle neck. 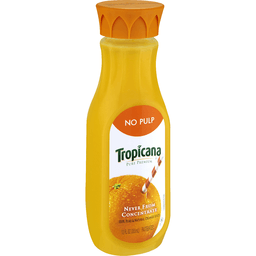 Tropicana Pure Premium is 100% juice, squeezed from fresh fruit, and is never from concentrate. No water, sugar, or preservatives are ever added so you only get our freshest, most delicious taste.